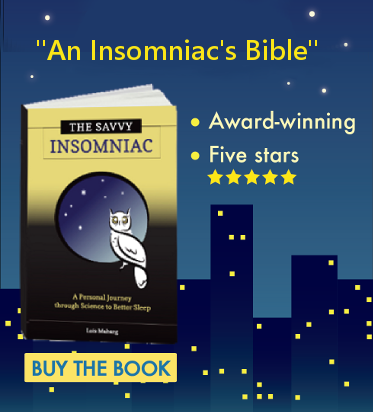 Artificial lighting gets a bad rap in stories about sleep these days. Before Thomas Edison invented the light bulb, we’re told, our forebears slept longer than we do today. There are reasons to think this might be true: Exposure to artificial lighting at night delays secretion of melatonin, in turn postponing sleep. Light at night can also reset the body clock, altering sleep timing and giving rise to circadian rhythm disorders and insomnia. Advice for how to avoid these problems usually runs along the lines of dimming lights in the evening and getting plenty of exposure to sunlight during the day. Count me as a believer here. But the back-to-nature solutions some are touting? Meh, I’ll pass. Two years ago researchers reported that after a week of camping, eight adults experienced changes in the timing of their sleep, going to bed and waking up an hour earlier than usual and feeling more energetic in the morning. In a more natural setting reported on in June, scientists found that people living without access to electricity in a remote community in Argentina slept 40 minutes longer in the summer and 60 minutes longer in the winter than people living with electric lighting 30 miles away. As persuasive as these reports may be, living closer to nature is not going to improve my sleep. For one thing, I’m naturally an early riser. The prospect of awakening still earlier does not appeal. And what about the bugs? All it takes is a mosquito buzzing around my head to get me swatting at the walls of the tent, and even if I manage to kill it I’m still wound up. 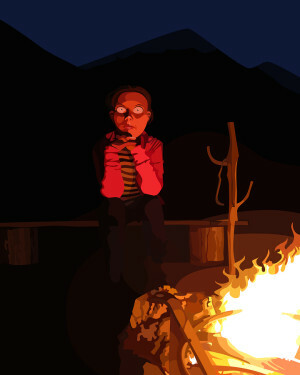 And if that doesn’t keep me awake, the camping mattress will. I have yet to find a mattress that’s comfortable for my back. 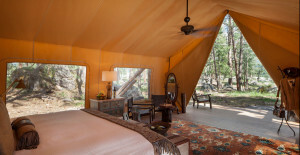 Glamping, or glamorous camping, might solve the mosquito problem and would certainly provide a comfy bed. But even if I could afford to “glamp,” I’d still be out in the middle of nature, and for all its virtues (I will admit there are some) nature isn’t quiet. Nocturnal creatures were not raised by parents like mine, who insisted that to do anything but tiptoe around and whisper after 10 p.m. was inconsiderate and rude. Without so much as a by your leave, animals at night will shriek, snarl, snort, hoot, growl. 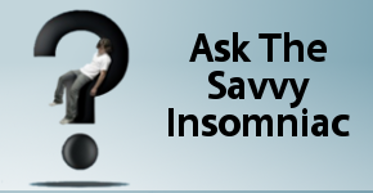 Light sleepers and insomniacs, exactly how is this going to improve our sleep? 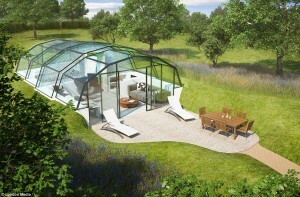 Here’s another shelter said to bring circadian rhythms into harmony with nature, deepen sleep, and boost our sense of well-being: the all-glass house. Its lack of privacy might give pause. Yet the all-glass house has one advantage over many glamping setups I’ve seen: it blocks out up to 85 percent of external noise. The main reason these back-to-nature solutions aren’t my cup of tea is that I’m a naturally short sleeper, and even the longest days of the year are not quite long enough for me. Going to bed at sundown—even when that means 10 p.m.—is a recipe for a terrible night’s sleep: tossing and turning, thinking existential thoughts, pondering insoluble problems. Who needs that when with the flick of a lamp switch I can pick up a book and fill my brain with happier thoughts? Yes, I could read by candlelight or lantern. But that’s not nearly as convenient or easy on the eyes as the incandescent light beside my reading chair. I could also entertain myself in the dark by listening to a book on CD. But then I’m apt to nod off too early, and a too-early bedtime spells a night of insomnia for me. I hear that some lucky people can actually enjoy periods of wakefulness at night. They let their minds wander and manage to achieve a relaxed, meditative state. But that’s not me. Artificial lighting saves me from the gloomy thoughts that are always ready to waylay me at night. No doubt I’m sending the wrong message here: for every one of me there are a hundred teenagers texting and peering at their iPads at night and seriously shorting themselves on sleep. Turn off your devices, you sleepyheads, and turn out the lights! But hey, Thomas Edison, here’s one insomniac who still thinks electric lighting is cool.